Google LLC is an American multinational technology company that specializes in Internet-related services and products, which include online advertising technologies, search engine, cloud computing, software, and hardware. Google was founded in 1998 by Larry Page and Sergey Brin while they were Ph.D. students at Stanford University in California. Together they own about 14 percent of its shares and control 56 percent of the stockholder voting power through supervoting stock. They incorporated Google as a privately held company on September 4, 1998. An initial public offering took place on August 19, 2004, and Google moved to its headquarters in Mountain View, California, nicknamed the Googleplex. In August 2015, Google announced plans to reorganize its various interests as a conglomerate called Alphabet Inc. Google is Alphabet’s leading subsidiary and will continue to be the umbrella company for Alphabet’s Internet interests. Sundar Pichai was appointed CEO of Google, replacing Larry Page who became the CEO of Alphabet. The company’s rapid growth since incorporation has triggered a chain of products, acquisitions, and partnerships beyond Google’s core search engine. It offers services designed for work and productivity, email, scheduling and time management, cloud storage, social networking, instant messaging and video chat, language translation, mapping and navigation, video sharing, note-taking, and photo organizing and editing. The company leads the development of the Android mobile operating system, the Google Chrome web browser, and Chrome OS, a lightweight operating system based on the Chrome browser. Google has moved increasingly into hardware; from 2010 to 2015, it partnered with major electronics manufacturers in the production of its Nexus devices, and it released multiple hardware products in October 2016, including the Google Pixel smartphone, Google Home smart speaker, Google Wifi mesh wireless router, and Google Daydream virtual reality headset. Google has also experimented with becoming an Internet carrier. In February 2010, it announced Google Fiber, a fiber-optic infrastructure that was installed in Kansas City; in April 2015, it launched Project Fi in the United States, combining Wi-Fi and cellular networks from different providers; and in 2016, it announced the Google Station initiative to make public Wi-Fi available around the world, with initial deployment in India. Alexa Internet monitors commercial web traffic and lists Google.com as the most visited website in the world. Several other Google services also figure in the top 100 most visited websites, including YouTube and Blogger. Google is the most valuable brand in the world as of 2017, but has received significant criticism involving issues such as privacy concerns, tax avoidance, antitrust, censorship, and search neutrality. 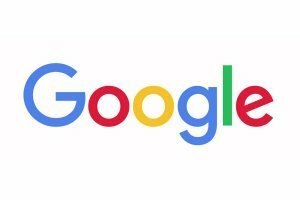 Google’s mission statement is “to organize the world’s information and make it universally accessible and useful”, and its unofficial slogan was “Don’t be evil”. In October 2015, the motto was replaced in the Alphabet corporate code of conduct by the phrase “Do the right thing”, while the original one was retained in the code of conduct of Google. Around May 2018, the slogan was silently removed from the code’s clauses, leaving only one generic reference in its last paragraph. 1600 Amphitheatre Parkway, Mountain View, California, U.S.